Happy New Year from Works by Women. As we begin 2011, we are excited about a slew of upcoming shows on the horizon in New York City and some other (soon to be announced) productions. We aren’t the only ones ready for 2011 to get underway. Writers from the New York Times wrote about four upcoming shows that they cannot wait to see. Among them is By the Way, Meet Vera Stark, Lynn Nottage‘s follow-up to her Pulitzer Prize-winning play Ruined. The Under the Radar Festival features some of the hottest theater companies from around the world, many of them presenting pieces created or co-created by women. The festival opens January 5th at the Public Theater. For $15, you can see Too Late! antigone (contest #2) by one of Italy’s most celebrated performance art groups Motus (featured photo to the left), or Watch Me Work conceived and performed by Pulitzer Prize winner Suzan-Lori Parks or Correspondances by Kettly Noel (Haiti/Mali) and Nelisiwe Xaba (South Africa). Now, we’re not quite done with 2010. Isaac Butler has a must read recap on the Wasserstein Prize brouhaha in American Theatre Magazine. 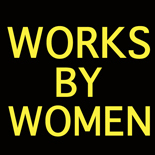 This entry was posted on January 4, 2011 by worksbywomen in Theater and tagged American Theatre Magazine, Isaac Butler, Kettly Noel, Lynn Nottage, Motus, Nelisiwe Xaba, New York Times, Public Theater, Second Stage Theatre, Suzan-Lori Parks, Under the Radar Festival.